The Tyranny of King Washington. The Infamy, the first episode of a three-part tale, will be available on Microsoft’s Xbox 360® video game and entertainment system, and Windows PCs on February 19 and on PlayStation®3 computer entertainment system on February 20. Finally getting around to finishing ACIII, Have to say the boat missions are superb. If AC4 is to be based around these then count me in. Still need to play this properly yet, only done the first couple of memory sequences and with Judgment coming out next week, might be a while before I do the rest! Just got to finish this myself today and I've left the boat missions(aside from the mandatory ones) for last. I figure this'll make my last impressions of this game not as sour. I'll say that I was kind of disappointed in a few, things in AC III. Namely, the parade of technical issues and the questionable level design decisions made. Something about this game in particular with regards to the other games in franchise feels rushed and unkempt. 1) Fast Travel just made no sense. A marker reads, "New York" so you'd figure that selecting it would travel you to New York...instead you're left at an area slightly outside of New York on your current map and facing the wrong way. To get to "Fast Travel" to New York you need to turn the other way and walk a set of steps, at which point the screen asks if you want to "Fast Travel" -- ? 3) Horses have never been this series' strength, but in ACIII they feel like more of a hindering element than ever before. Suffice to say, I'd rather foot it through the whole map than use a horse. It doesn't help that after "Fast Traveling" the horse just stalks Connor throughout, even while in battle. I found having to deal with "Fast Travel" in order to shake the horse. 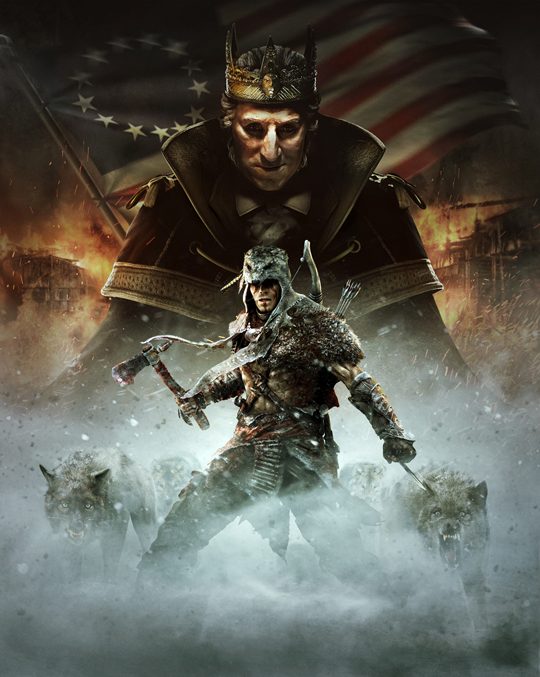 I think this is the first game in the AC Franchise that had me looking forward to the Desmond sections, at the very least to see the progression finally move forward, it's just a shame that it took 5 games to get to this point. I'll be interested to see where they go with that, but no way Ubisoft is selling me on just Ship Missions though , at least not at release date..., especially if reports surface that the game is just as buggy as this one. I'm hoping AC IV: Black Flag doesn't become a victim of a series looking for a quick cash-out. I, for one would rather wait for a quality product than rush into the equivalent of a JJ Abrams-type over-promised and under-delivered project.